LC-200XP Cutting Machine can be used to cut material, electronic element, electronic element, crystals, hard alloy, rock sample, core sample, concrete, organic materials, biological materials (teeth, bones), etc. Precision cutting without deformation. 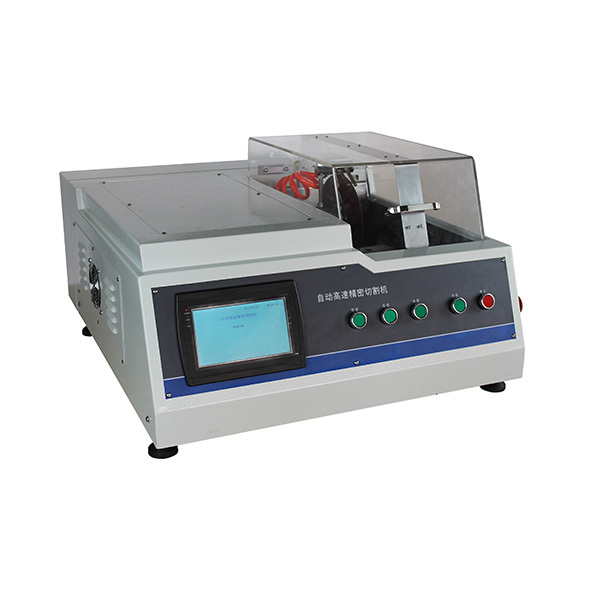 The device adopts high-power servo motor drive, high locating accuracy, large range of speed, high cutting power, internal circulation cooling system, preinstall feed speed, menu controlled;liquid crystal display, users are free to define the cutting method, airtight security cutting room. It is an ideal precision cutting machine for industrial and mining enterprises, scientific research institutes to prepare high quality samples. Looking for ideal LC-200XP Metallographic Cutting Machine Manufacturer & supplier ? We have a wide selection at great prices to help you get creative. All the Metallographic Specimen Cutting are quality guaranteed. We are China Origin Factory of Metallographic Industry Equipment. If you have any question, please feel free to contact us.